From white trash mill village girl to Senior-Cinderella. 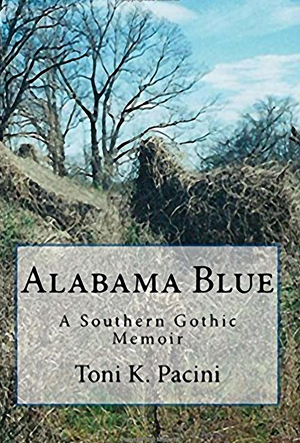 In Alabama Blue, Toni K. Pacini, shares her tumultuous journey. A girl raised-up like an invasive weed in an Alabama cotton mill village where illiteracy, bigotry, religious fanaticism, and abuse were as commonplace as fried chicken on Sunday. From pillar to post, and coast to coast, she sought a dauntingly illusive refuge. Toni fled a life predestined for sorrow from cold cradle to cold crypt, and she made it! Her life needed a major re-write, and in Alabama Blue, she rewrote the hopelessness into hope, the sorrow into joy, and left the past to rest, as she moved forward into a new tomorrow.